U.S stocks gained earlier in yesterday’s trading session before the outcome of a key policy announcement from the Federal Reserve. 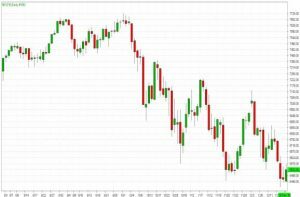 The Dow Jones Industrial Average advanced 193 points, or 0.8%, while the S&P 500 index rose 20 points, or 0.8%. The NASDAQ climbed 48 points, or 0.7%. Investors are expecting the Fed to help assuage brewing anxieties that have underpinned a recent bout of market tumult as the central bank’s interest-rate setting committee. Meanwhile, U.S Treasury Secretary Steven Mnuchin gave investors reason for optimism regarding U.S-China trade relations, when he said the U.S and China will meet in January to broker a trade-war truce, in an interview with Bloomberg News on Tuesday. Previously, the Trump administration hadn’t given a specific timetable for face-to-face negotiations. With volume so light this time of year, investors should brace for more volatility. Existing home sales rose 1.9%, to a seasonally adjusted annual rate of 5.32 million from October to November, according to the National Association of Realtors. The Dow Jones Industrial Average lost 1.49% to hit a new 52-week low. The best performers of the session were Verizon Communications Inc., which rose 0.38% or 0.21 points to trade at 55.86 at the close. Meanwhile, The Travelers Companies Inc. fell 0.12% or 0.14 points to end at 119.16 and International Business Machines was down 0.19% or 0.22 points to 116.43 in late trade. The worst performers of the session were Intel Corporation, which fell 4.55% or 2.17 points to trade at 45.57 at the close. Apple Inc. declined 3.12% or 5.18 points to end at 160.89 and Nike Inc. was down 3.06% or 2.18 points to 68.97. The NASDAQ index declined 2.17%. The top performers on the NASDAQ were Marin Software Inc. which rose 78.76% to 6.650, China Automotive Systems Inc. which was up 42.06% to settle at 3.040 and Evine Live Inc. which gained 41.85% to close at 0.558. The worst performers were Surface Oncology Inc. which was down 47.50% to 3.89 in late trade, Biocept Inc. which lost 29.82% to settle at 0.800 and Toughbuilt Industries Inc. which was down 24.00% to 1.14 at the close. Oil prices rose about 3 percent yesterday, recovering somewhat from a sharp sell-off during the previous session, after U.S data showed strong demand for refined products. Sentiment remains negative, however, as investors grapple with weakening demand and worries about oversupply. U.S light crude contract rose $1.44 a barrel to $48.04. The markets slumped on Tuesday, extending a recent run of poor performance. 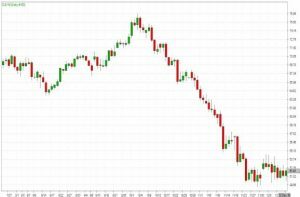 Global benchmark Brent tumbled 5.6 percent on Tuesday, just above a 14-month low reached during the session, while WTI lost 7.3 percent, falling to its lowest level since August 2017. Crude inventories fell by 497,000 barrels in the week to Dec. 14, smaller than the decrease of 2.4 million barrels analysts had expected. The decline was the third consecutive decrease, the U.S Energy Information Administration said. The OPEC and other oil producers including Russia agreed this month to curb output by 1.2 million barrels per day (bpd) in an attempt to drain tanks and boost prices. Gold rose to a one-week high yesterday, helped by a weaker U.S dollar and a fall in global stock markets, but moves were limited as investors sought clarity on the path of U.S interest rates as concerns about a slowing global economy deepened. Spot gold was up 0.1 percent at $1,247.06 per ounce, having earlier touched its highest since Dec. 10 at $1,250.27, just short of a five-month peak of $1,250.55 hit last week. U.S gold futures were steady at $1,251.30 per ounce. There has been a slight increase in the minority view that the Fed might not raise rates, given the recent weakness in the equity markets. It would be quite a shock if they didn’t increase rates in this week’s meeting. Most of the attention will be on how many more interest rates rises there may be next year. The Fed is widely expected to raise interest rates for the fourth time this year at its two-day policy meeting ending today. But weak stock markets and slowing global growth may prompt the central bank to signal a slowdown in rate increases. We have seen quite a broad-based sell-off across many other markets, from equities to other commodity markets, and an increase in risk aversion. In that climate, gold is edging gradually higher towards a multi-months peak. 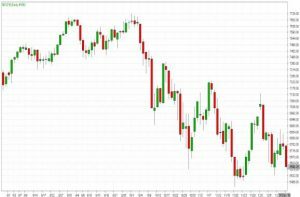 World stock markets tumbled as fears about a slowing global economy gripped investors, while the dollar index slipped 0.3 percent against a basket of major currencies. Gold tends to gain when interest rate hike expectations ease because lower rates reduce the opportunity cost of holding non-yielding bullion and weigh on the dollar, in which it is priced. In euro terms, gold reached its highest since June at 1,100.57 euro an ounce. Gold, considered a safe investment during times of financial, economic and geopolitical uncertainty, has risen more than 7 percent from 19-month lows hit in mid-August. It is also set to post its biggest quarterly gains since March 2017. Among other precious metals, silver was down 0.2 percent to $14.63. Soybean futures edged higher yesterday as the oilseed market awaited signs of further demand from China as part of a trade truce with Washington. Wheat eased after gaining ground on Monday while corn ticked upwards in cautious trading. The Dollar rallied after a Federal Reserve rate hike but yesterday’s gains were unexpected for a few reasons. First, most investors were looking for Fed Chair Powell to be dovish and when he lined his comments with optimism, the dollar rose. Secondly, the dollar rallied despite the fact that 10-year Treasury yields dropped to an 8 month low. Rate hike expectations also declined with the market now pricing in a greater chance of a rate cut than a rate hike in 2020. All of this combined with downgraded GDP and inflation forecasts should have driven the greenback lower but instead, the dollar rallied because the tweaks to the policy statement weren’t dovish enough. Investors had braced for the worst – from no rate hike to dissents and a change in the risk assessment. And while there were subtle tweaks in the statement and lowered growth and inflation forecast, these changes were not as significant as the market had hoped. The same was true of Fed Chair Powell’s comments – he made it clear that nothing is predetermined and everything is data dependent but he also said the sharp decline in US equities and the tightening of financial market conditions has not fundamentally altered their outlook. The Fed still plans to raise interest rates next year and most policymakers expect the economy to grow. Next up is the Bank of England. Sterling is trading off its lows ahead of the UK central bank’s final policy meeting of the year. Unlike the Fed, there will be no changes to interest rates. The last time the BoE met, they sent GBP/USD soaring above 1.30 on the talk of rate hikes. According to the summary of the report that month the MPC said “Were the economy to continue to develop broadly in line with the November Inflation Report projections, an ongoing tightening of monetary policy over the forecast period would be appropriate.” To add to that Governor Carney said a Brexit deal could release pent up investment demand but a no-deal Brexit could also lead to a major supply shock that could drive up inflation and interest rates. Fast forward 7 weeks and the UK is no closer to a Brexit deal. The single currency notched up its biggest daily rise against the Dollar and the Pound in more than a week yesterday as diminishing political worries in Italy and strong trade data contrasted with growing concerns about Britain’s plans to avoid a “no-deal” Brexit. Trade data this week showed European exports rose by more than 11 percent in October. 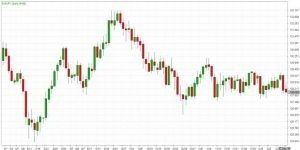 Overall, the EUR/USD traded with a low of 1.1360 and a high of 1.1438 before closing the day around 1.1375 in the New York session. The Japanese Yen rally continues to climb this week. Earlier in the day, the pair dropped to its lowest level since late October. On the release front, Japan’s trade deficit widened for a fourth straight week, ballooning to 0.49 trillion yen, much higher than the previous month’s deficit of 0.30 trillion. The estimate stood at 0.31 trillion yen. Overall, the USD/JPY traded with a low of 112.06 and a high of 112.64 before closing the day around 112.46 in the U.S session. The British Pound declined against its major counterparts earlier in the session after a data showed that UK consumer price inflation slowed to its lowest level in twenty months in November amid lower oil prices. But Sterling manage to reverse its losses and closed the session higher against the U.S Dollar. Overall, the GBP/USD traded with a low of 1.2605 and a high of 1.2677 before closing the day at 1.2609 in the New York session. 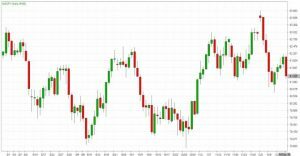 The Canadian Dollar edged higher as oil prices and stocks rose, but the currency pared gains after domestic inflation data supported bets for the BOC to stay sidelined over the coming months. Lower gas prices pulled Canada’s annual inflation rate in November down to 1.7 per cent, the first time in 10 months it has been below the 2.0 per cent target. Overall, USD/CAD traded with a low of 1.3411 and a high of 1.3504 before closing the day at 1.3480 in the New York session. 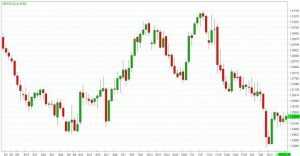 The Australian Dollar remained under pressure, losing ground against most of the major crosses yesterday despite continued U.S Dollar weakness. There was little reaction to a speech from Chinese President Xi Jinping that failed to outline any specific measures to help support the Chinese economy. Instead, short-covering ahead of Fed interest rate decision was the likely catalyst. 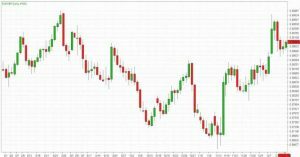 Overall, AUD/USD traded with a low of 0.7168 and a high of 0.7199 before closing the day at 0.7170 in the New York session. EUR/JPY is trading below 14, 50 and 100 days moving average. Fast stochastic is giving a bearish tone and MACD is issuing a bullish stance. The Relative Strength Index is above 46 and lies below the neutral zone. In general, the pair has gained 0.11%. Currently, GBP/JPY is trading below 14, 50 and 100 days moving average. Fast stochastic is issuing a bullish tone and MACD is indicating a bearish stance. The Relative Strength Index is above 35 reading and lies below the neutral zone. On the whole, the pair has lost 0.27%. Currently, the cross is trading above 14, 50 and 100 days moving average. Fast stochastic is giving a bearish tone and MACD is also indicating a bearish stance. The Relative Strength Index is above 38 reading and lies below the neutral region. In general, the pair has lost 1.03%. This cross is currently trading above 14, 50 and below 100 days moving average. Fast stochastic is indicating a bearish tone and MACD is issuing a bullish signal. The Relative Strength Index is above 64 and lies above the neutral region. On the whole, the pair has gained 0.36%. This cross is trading below 14, 50 and 100 days moving average. Fast stochastic is issuing a bullish stance and MACD is indicating a bearish tone. The Relative Strength Index is above 40 and lies below the neutral region. In general, the pair has lost 0.02%. 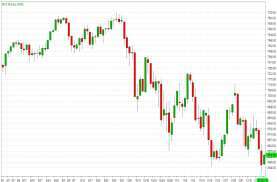 Stocks rebounded yesterday, recovering some of the steep losses of the prior trading session that sent both the Dow Jones Industrial Average and the S&P 500 down more than 2 percent. The S&P 500 climbed 0.9 percent after falling to a new closing low and touching a new intraday low for 2018 on Monday on fears the Federal Reserve is going too far with its rate-hiking plans. The Dow Jones Industrial Average rallied 300 points, led higher by gains in Boeing and Johnson & Johnson. A comeback in technology stocks led the NASDAQ to a 1.2 percent gain as Amazon, Apple and Netflix — which were hit hard on Monday — all traded higher. Facebook stock rallied 3.6 percent while Google-parent Alphabet added 3.1 percent. Also helping sentiment was White House Press Secretary Sarah Sanders, who said that the Trump administration wants to avoid a partial government shutdown and has found alternative revenues to build President Donald Trump’s border wall. The Fed is widely expected to hike its benchmark lending rate for a fourth and final time of 2018. The Dow Jones Industrial Average gained 0.35%. The best performers of the session on the Dow Jones Industrial Average were Boeing Co, which rose 3.77% or 11.93 points to trade at 328.06 at the close. Meanwhile, Goldman Sachs Group Inc. added 2.08% or 3.49 points to end at 171.50 and Nike Inc. was up 1.79% or 1.25 points to 71.15 in late trade. The worst performers of the session were Exxon Mobil Corp, which fell 2.76% or 2.04 points to trade at 72.00 at the close. 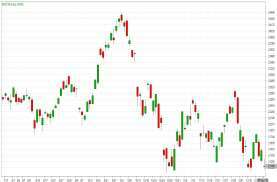 Chevron Corp declined 2.41% or 2.71 points to end at 109.74 and UnitedHealth Group Incorporated was down 1.98% or 5.10 points to 252.97. The NASDAQ index gained 0.45%. The top performers were Biocept Inc. which rose 66.28% to 1.140, Marin Software Inc. which was up 30.07% to settle at 3.720 and Toughbuilt Industries Inc. which gained 22.04% to close at 1.55. The worst performers were Regulus Therapeutics Inc. which was down 24.09% to 1.040 in late trade, Dova Pharmaceuticals Inc. which lost 23.64% to settle at 6.88 and Champions Oncology Inc. which was down 23.04% to 7.3500 at the close. Oil prices tumbled yesterday after reports of swelling inventories and forecasts that record U.S and Russian output will hit a market that may see weaker demand if global growth deteriorates as many expect. U.S crude oil fell $2.78, or 5.5 percent to trade at $47.10 a barrel. The session low was $46.97, its weakest since September 2017. World stock markets inched higher as investors looked ahead to whether the U.S Federal Reserve will be able to raise interest rates much further. Equity markets have had steep declines over the last two months. Investor confidence is deteriorating, with more fund managers expecting global growth to weaken over the next 12 months, the worst outlook in a decade, Bank of America Merrill Lynch’s December investor survey showed. Britain’s largest oilfield restarted, increasing supply, the U.S government said output from shale would top 8 million barrels per day this year, and data suggested U.S. crude inventories would rise this week. Crude oil has slid more than 30 percent since early October. The U.S Dollar was lower yesterday as investors waited for news from the Federal Reserve’s latest policy meeting. The U.S dollar index, which measures the greenback’s strength against a basket of six major currencies, fell 0.14% to 96.41, after an overnight high of 96.63. With the Fed expected to increase rates by 25 basis points for the fourth time this year today, investors will be watching for any new comments on possible policy changes in 2019. Fed officials, including Fed Chairman Jerome Powell, have said interest rates are nearing neutral and have become more cautious about FOMC tightening policy amid worry of slowing global growth. U.S. President Donald Trump’s critical comments on the Fed did not help the dollar’s cause either. In a tweet overnight, Trump took another swipe at the Fed, saying it was “incredible” for the central bank to even consider tightening policy given the global economic and political uncertainties. While the Fed remaining on hold would be a significant surprise and a significant U.S Dollar-negative, there is little doubt that equity market volatility is creating some headaches for policymakers. Osborne noted that Fed rate hike expectations have slipped, with markets now pricing in a 70 percent chance of a rate increase, down from a 78 percent chance on Monday. Investor confidence has deteriorated, leading to the gloomiest outlook for the world economy in a decade. The Dollar has replaced technology stocks as the most crowded trade for the first time since January. Risk-off sentiment yesterday lifted the Japanese yen and Swiss franc. Yen traders are also focusing on the Bank of Japan’s meeting on Dec. 19-20, at which it is widely expected to keep policy ultra-loose as inflation remains well below its target. 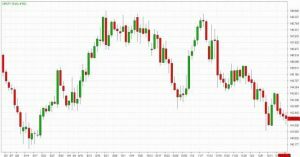 The Pound Sterling continues to move off of the recently struck 20-month trough after it was confirmed that the Prime Minister will ask for the British Parliament to approve her latest Brexit proposal next month. The Canadian Dollar fell against the U.S Dollar yesterday. The single currency rose yesterday as the dollar weakened, with investors betting that growth concerns will prompt the Fed to slow its pace of interest rate hikes at this week’s meeting. A rout on Wall Street following a spate of weak data globally has strengthened the view that the Fed’s widely-expected rate hike today will usher in a slowdown. Overall, the EUR/USD traded with a low of 1.1335 and a high of 1.1401 before closing the day around 1.1359 in the New York session. 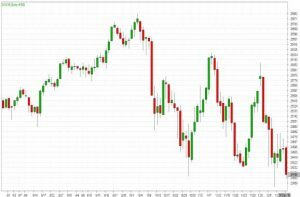 The Japanese Yen pair remained heavily offered through the European session yesterday and tumbled to over one-week lows in the last hour. A combination of negative forces kept exerting downward pressure for the third consecutive session. The concerns were evident from the recent fall in the US Treasury bond yields. Overall, the USD/JPY traded with a low of 112.23 and a high of 112.84 before closing the day around 112.50 in the U.S session. The British Pound continues to move off of the recently struck 20-month trough after it was confirmed that the Prime Minister will ask for the British Parliament to approve her latest Brexit proposal next month. Analysts caution that Theresa May will be fighting the fight of her life in order to get her deal through to find the backing of members from her own party. 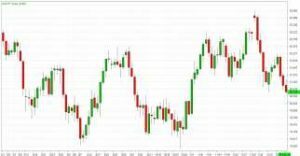 Overall, the GBP/USD traded with a low of 1.2608 and a high of 1.2703 before closing the day at 1.2638 in the New York session. The Canadian Dollar steadied against its U.S counterpart yesterday, underperforming other G10 currencies as oil prices fell and Bank of Canada Governor Stephen Poloz left the door open to a slower pace of interest rate hikes. The price of oil, one of Canada’s major exports, fell to its lowest since September of last year after reports of swelling inventories. Overall, USD/CAD traded with a low of 1.3387 and a high of 1.3494 before closing the day at 1.3462 in the New York session. 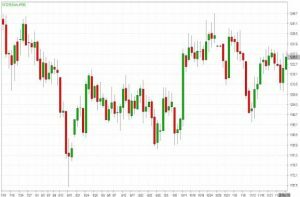 The Australian Dollar gained earlier in yesterday’s trading session but reversed almost all the gains to end the day slightly lower. 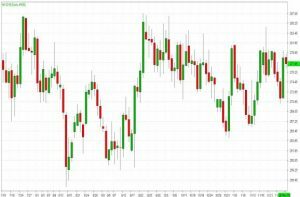 Australian Dollar has been put on the defensive by worries about slowing growth in China. The currency had been sideswiped by disappointing Chinese economic data, which in turn rippled through markets globally sending stocks sharply lower. 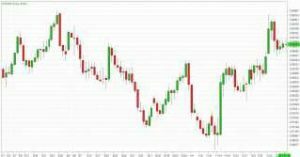 Overall, AUD/USD traded with a low of 0.7164 and a high of 0.7201 before closing the day at 0.7166 in the New York session. EUR/JPY is trading below 14, 50 and 100 days moving average. Fast stochastic is giving a bearish tone and MACD is issuing a bullish stance. The Relative Strength Index is above 43 and lies below the neutral zone. In general, the pair has lost 0.16%. Currently, GBP/JPY is trading below 14, 50 and 100 days moving average. Fast stochastic is issuing a bullish tone and MACD is indicating a bearish stance. The Relative Strength Index is above 38 reading and lies below the neutral zone. On the whole, the pair has lost 0.10%. Currently, the cross is trading above 14, 50 and 100 days moving average. Fast stochastic is giving a bearish tone and MACD is also indicating a bearish stance. The Relative Strength Index is above 40 reading and lies below the neutral region. In general, the pair has lost 0.25%. This cross is currently trading above 14, 50 and below 100 days moving average. Fast stochastic is indicating a bearish tone and MACD is issuing a bullish signal. The Relative Strength Index is above 62 and lies above the neutral region. On the whole, the pair has lost 0.05%. This cross is trading below 14, 50 and 100 days moving average. Fast stochastic is issuing a bullish stance and MACD is indicating a bearish tone. The Relative Strength Index is above 38 and lies below the neutral region. In general, the pair has gained 0.13%. Stocks sank yesterday as investors grew worried that the Federal Reserve’s plan to raise interest rates could be too much for the economy and stock market to handle. 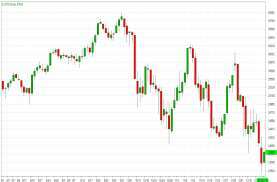 The Dow Jones Industrial Average lost more than 250 points on the week’s first day of trading, with losses in UnitedHealth and Johnson & Johnson offsetting gains in Boeing and Apple. The S&P 500 fell 1.1 percent amid a 2.5 percent loss in utilities and a 1.7 percent loss in real estate investments. The Dow is now more than 11 percent off its 52-week high; the S&P 500 is 12 percent off its record high notched back in September. The tech-heavy NASDAQ dropped 1 as Amazon fell 3.1 percent and Microsoft dropped 1.6 percent. All three major U.S indexes closed in correction territory for the first time since March 2016 in the prior trading session. Investors are also on edge ahead of the December meeting of the Federal Reserve’s policymaking arm. The Federal Open Market Committee is expected to hike its benchmark overnight lending rate for a fourth and final time of 2018 this week. The Dow Jones Industrial Average lost 2.11% to hit a new 6-months low. The best performers of the session were The Travelers Companies Inc., which fell 0.51% or 0.62 points to trade at 119.93 at the close. Meanwhile, Boeing Co fell 0.82% or 2.62 points to end at 316.13 and Apple Inc. was down 0.93% or 1.54 points to 163.94 in late trade. The worst performers of the session were American Express Company, which fell 4.28% or 4.52 points to trade at 101.18 at the close. Procter & Gamble Company declined 4.00% or 3.87 points to end at 92.77 and Nike Inc. was down 3.63% or 2.63 points to 69.90. The tech heavy NASDAQ index lost 2.27%. The top performers were Synergy Pharmaceuticals Inc. which rose 51.38% to 0.121, Riot Blockchain Inc. which was up 32.59% to settle at 1.7900 and Calyxt Inc. which gained 23.79% to close at 12.23. The worst performers were Sophiris Bio Inc. which was down 40.29% to 1.230 in late trade, Cancer Genetics Inc. which lost 40.04% to settle at 0.333 and Dova Pharmaceuticals Inc. which was down 39.16% to 9.01 at the close. Oil prices fell yesterday on signs of oversupply in the United States and as investor sentiment remained under pressure from concern over the prospects for global economic growth and fuel demand. U.S light crude fell 88 cents, or 1.7 percent, to $50.32, after briefly dipping below $50 for the first time in two weeks. The contract hit a session high at $51.87 yesterday. U.S crude futures fell after inventories at the storage hub of Cushing, Oklahoma rose by more than 1 million barrels between Dec. 11 and Dec. 14, traders said, citing data from market intelligence firm Genscape. Traders and market participants closely watch supplies at the hub because it is the delivery point for the futures contract and underpins nearly all other regional crude grades. Some investors doubt planned supply cuts by OPEC and other producers such as Russia will be enough to rebalance markets. OPEC and its allies have agreed to reduce output by 1.2 million barrels per day (bpd) from January, in a move to be reviewed at a meeting in April. Gold rose yesterday as a slide in the dollar made bullion more attractive for holders of other currencies, while some investors took cover as stocks globally slipped into the red ahead of the U.S Federal Reserve’s two-day policy meeting. Palladium climbed to an all-time high of $1,269.50 on a prolonged deficit in the market and increased speculative interest, with prices trading at a premium to bullion. Spot gold was up 0.6 percent at $1,244.91 per ounce. The metal touched its lowest since Dec. 4 at $1,232.39 an ounce on Friday. U.S gold futures were 0.5 percent higher at $1,247.90 per ounce. The dollar slipped ahead of the Fed’s policy meeting ending on Wednesday. Investor focus will be on the central bank’s policy outlook for 2019 and future interest rate hikes. One of the drivers that is pushing gold higher right now is the flight to safety (due to lower equities), along with the dollar being sold-off a bit. Some traders are also positioning themselves so that if the Fed does not raise rates, gold might spike. Weak stock markets and slowing global growth have raised speculation that the Fed will need to pause its tightening cycle or risk harming the U.S economy. Stocks fell on concerns over global growth that sent world equity markets to 17-month lows last week. Markets were also concerned about a possible U.S. government shutdown. Investor sentiment toward gold showed signs of optimism. Speculators switched to a net long position in gold of 10,252 contracts, adding 11,791 contracts in the week to Dec. 11, data showed on Friday. This was the first time gold speculators have held a net long position since July, and the strongest since June. With increased volatility and geopolitical risk, macro asset allocation is becoming more gold-positive again, while we believe much of the dollar’s upward move is now behind us with rate hike expectations dropping. Silver was up 0.7 percent at $14.66 per ounce, while platinum rose 1.2 percent at $796.80 per ounce. Wheat futures rebounded more than 1 percent in yesterday’s trading session after a sharp fall in the previous session, as a jump in prices in top exporter Russia improved U.S wheat’s competitiveness on world markets. The U.S Dollar pulled back from an 18-month high yesterday after disappointing economic data. The U.S dollar index, which measures the greenback’s strength against a basket of six major currencies, fell 0.2% to 96.69, after an overnight high of 97.69. The Empire State manufacturing index was lower in December, adding to concerns over the health of the U.S. economy. The reading was at 10.90 from 23.30 in November, the New York Fed reported yesterday. Meanwhile, investors are looking ahead to Wednesday when the Federal Reserve is expected to increase rates by 25 basis points for the fourth time this year. Chances of a hike were priced in at 77.5%, according to Fed Rate Monitor Tool. Still, investors remain uncertain of the number of rate hikes in 2019 after dovish comments from Fed officials, who hint that interest rates are nearing neutral. Comments yesterday from U.S President Donald Trump added to the uncertainty, as he continued to criticize the pace of Fed hikes. Last week, the dollar enjoyed its best weekly performance since September, reaching an 18-month high on Friday. 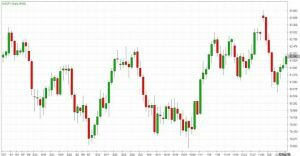 The euro, on the other hand, weakened last week after the European Central Bank cut inflation and growth forecasts and struck a cautious tone about the outlook for the world economy. The euro, meanwhile, rose 0.3 percent yesterday, even though EU statistics office Eurostat earlier lowered November’s inflation reading. Weaker-than-expected economic data from China and Europe last week sent investors toward the perceived safety of the dollar. Investors are now looking to a major speech by President Xi Jinping today to mark the 40th anniversary of China’s market reforms and opening up. China is also scheduled to hold its annual Central Economic Work Conference this week. The Canadian dollar weakened as lingering worries about global growth weighed on stocks ahead of a potential interest rate hike this week from the Federal Reserve. Wall Street lost ground as edgy investors waited for the Fed’s monetary policy guidance. The single currency clawed itself off recent lows yesterday as the dollar paused near 18-month highs and traders waited to see whether the U.S. Federal Reserve’s policy meeting this week would calm nerves about slowing global economic growth. Last week the dollar enjoyed its best weekly performance since September. 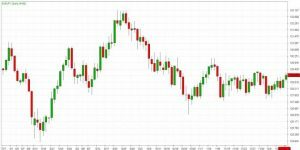 Overall, the EUR/USD traded with a low of 1.1301 and a high of 1.1356 before closing the day around 1.1346 in the New York session. The Japanese Yen gained ground in yesterday’s trading session. It was a quiet start to the week, with no Japanese events. In the U.S, the Empire State Manufacturing Index dropped sharply to 10.9, down from 23.3 points. This was well short of the estimate of 20.1 points. Today, the U.S releases housing starts and building permits. Overall, the USD/JPY traded with a low of 112.66 and a high of 113.50 before closing the day around 112.81 in the U.S session. The British Pound edged off 20-month lows on Monday as British Prime Minister Theresa May rescheduled a delayed vote in parliament on her Brexit plan for mid-January. 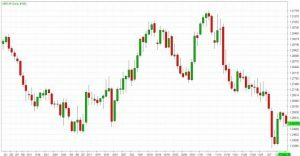 Sterling inched higher as May confirmed the vote – postponed last week in the face of deep opposition – would happen in the week starting on Jan. 14. 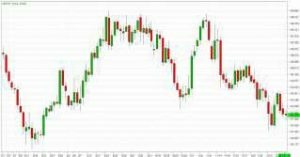 Overall, the GBP/USD traded with a low of 1.2572 and a high of 1.2644 before closing the day at 1.2621 in the New York session. The Canadian Dollar weakened, underperforming most other G10 currencies as lingering worries about global growth weighed on stocks ahead of a potential interest rate hike this week from the Fed. Canada exports many commodities, including oil, so its economy could be hurt by slower global growth. U.S crude prices were down 0.2 per cent at $51.12 a barrel. 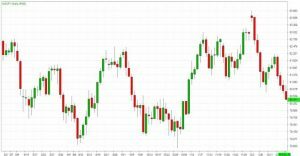 Overall, USD/CAD traded with a low of 1.3370 and a high of 1.3418 before closing the day at 1.3403 in the New York session. The Australian Dollar revival of fortunes against its US cousin goes on, underpinned as it has been since its November beginnings by a key factor which is a hope for a trade rapprochement between Washington and Beijing. China is the prime customer of Australia’s vast raw-material export machine, while the U.S is an indispensable partner for Canberra on security matters. 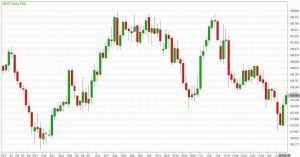 Overall, AUD/USD traded with a low of 0.7166 and a high of 0.7185 before closing the day at 0.7175 in the New York session. EUR/JPY is trading below 14, 50 and 100 days moving average. Fast stochastic is giving a bearish tone and MACD is issuing a bullish stance. The Relative Strength Index is above 44 and lies below the neutral zone. In general, the pair has lost 0.07%. Currently, GBP/JPY is trading below 14, 50 and 100 days moving average. Fast stochastic is issuing a bullish tone and MACD is indicating a bearish stance. The Relative Strength Index is above 38 reading and lies below the neutral zone. On the whole, the pair has lost 0.18%. Currently, the cross is trading above 14, 50 and 100 days moving average. Fast stochastic is giving a bearish tone and MACD is also indicating a bearish stance. The Relative Strength Index is above 42 reading and lies below the neutral region. In general, the pair has lost 0.45%. This cross is currently trading above 14, 50 and below 100 days moving average. Fast stochastic is indicating a bearish tone and MACD is issuing a bullish signal. The Relative Strength Index is above 60 and lies above the neutral region. On the whole, the pair has gained 0.11%. This cross is trading below 14, 50 and 100 days moving average. Fast stochastic is issuing a bullish stance and MACD is indicating a bearish tone. The Relative Strength Index is above 37 and lies below the neutral region. In general, the pair has lost 0.28%. 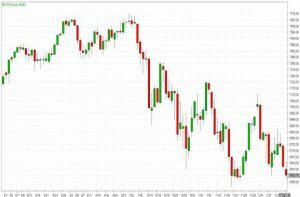 U.S stocks closed at their lowest level since April, with Treasuries rising alongside the yen, as mounting concern over the health of the global economy overshadowed positive trade developments and signs of strength from the American consumer. 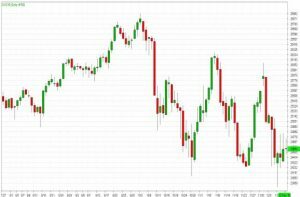 The S&P 500 Index tumbled 1.9 percent Friday, after testing February lows, erasing the week’s gains. Health-care and technology stocks were among the biggest decliners. 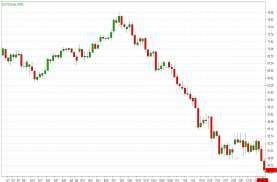 The Dow Jones Industrial Average sank almost 500 points, led by Johnson & Johnson’s biggest rout in years amid mounting legal peril. Retailers retreated even after monthly data indicated U.S. consumers are still spending. Oil and gold fell. The sour mood on Wall Street came after equities slumped from Asia to Europe on concern that Chinese growth is slowing. President Donald Trump attributed the latest data to his trade war, even suggesting a deal could come soon. Investors took little solace in that, and earlier signs that trade tension was easing didn’t do much to calm nerves. The Federal Reserve holds its final policy meeting of 2018 on Tuesday and Wednesday. 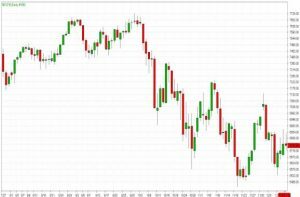 The Dow fell sharply on Friday, ending the week on a bleak note and sending the index into correction territory after a batch of weaker-than-expected economic data out of China and Europe sparked fresh worries about the state of the world’s second-biggest economy and prospects for global growth. The Dow fell 496.87 points, or 2%, for its lowest close since May 3. The drop left the Dow more than 10% below its Oct. 3 record high, meeting the widely used definition of a correction. The blue-chip gauge joined the S&P 500 and the NASDAQ in correction territory. Fresh evidence that global trade tensions are hitting the world’s second-biggest economy emerged Friday. The tech heavy NASDAQ dropped 58.59 points, or 0.8%, marking its lowest close since Nov. 20. Shares of Costco Wholesale Corp. fell 8.6%, after a Thursday evening earnings release showed the retailer missed revenue expectations for the fiscal first quarter. Adobe Inc. stock fell more than 7%, after the software company missed earnings expectations for the fourth quarter. Retail sales rose 0.2% in November from the month previous, surpassing expectations of a 0.1% jump. Oil traders will stay fixated on global growth prospects in the week ahead, after prices got hammered last week by worries that the ongoing U.S-China trade dispute will drag on global growth and, by extension, erode energy demand. West Texas Intermediate crude tumbled $1.38, or roughly 2.6%, on Friday to settle at $51.20 a barrel by close of trade on the New York Mercantile Exchange. For the week, WTI prices lost about 2.7%. With just about two weeks to the end of 2018, WTI remains down about 15% on the year and some 32% lower from four-year highs of nearly $77 per barrel hit in early October. Brent is down about 10% on the year and nearly 32% lower from four-year highs of nearly $87 per barrel hit two months ago. Fresh weekly data on U.S. commercial crude inventories to gauge the strength of demand in the world’s largest oil consumer and whether output levels will continue to rise will capture the market’s attention this week. Gold eased for the second straight session to hit a one-week low on Friday as the dollar rose, putting the metal on track to post its biggest weekly fall in five ahead of the U.S Federal Reserve’s interest rate decision next week. Spot gold was 0.3 percent lower at $1,238.29 per ounce. Earlier in the session, prices hit their lowest since Dec. 6 at $1,236.80. The metal is down about 0.8 percent so far this week. U.S. gold futures were down 0.4 percent at $1,242.20 per ounce. The dollar gained as investors turned nervous about an economic slowdown in China and was further supported by weakness in the euro and pound. A firm dollar makes gold more expensive for holders of other currencies. It seems to be a broader market sentiment as there is a drop across the precious complex. The dollar has strengthened and that’s being reflected in gold’s downward movement. Markets are awaiting the Federal Open Market Committee (FOMC) meeting on Dec. 18-19, where the U.S. central bank is widely expected to raise interest rates for the fourth time this year. The more interesting aspect would be what the indications are from the Fed for their plans for 2019 as we’ve seen a shift in market expectations on how much tightening we might see next year, so comments leading to that situation would be keenly watched. Gold has fallen around 9 percent since April, hit by rising U.S. interest rates and as investors chose the dollar as a safe haven rather than gold amid the U.S.-China trade dispute. Bullion is also on track to post an annual decline of about 5 percent, after rising for the previous two years. However, analysts are more optimistic on gold in 2019. Among other precious metals, spot palladium eased 1.2 percent to $1,245.30 per ounce, having hit an all-time high of $1,269.25 in the previous session. The metal was on track for its third week of gains, with prices up about 1.2 percent so far. Silver fell 1.1 percent to $14.60 per ounce. Soybean futures fell on Friday for a second session as traders reacted to smaller-than-expected purchases this week by China coupled with ballooning global supplies. Corn futures firmed on prospects for China to start buying U.S supplies of the yellow grain, while wheat declined from a two-month high. The U.S Dollar shone on Friday, reaching a 19-month high against a basket of currencies, as investors preferred the safety of the world’s reserve currency in the wake of worrisome political and economic news outside the United States. The Chinese Yuan fell after data showed retail sales grew in November at their slowest pace since 2003 and industrial output rose the least in nearly three years. The offshore Yuan shed 0.38 percent at 6.9038 per dollar. The euro weakened as the euro zone economy showed more signs of a slowdown. Sterling tumbled as traders worried British Prime Minister Theresa May was struggling to secure assurances from the EU over her Brexit withdrawal deal. The dollar is not so much rallying as much as everyone else is falling. The greenback’s appeal increased in the aftermath of upbeat data on domestic retail sales and industrial output. The Dollar’s gains were limited by bets the Federal Reserve might reduce the number of interest rate increases after a widely expected hike next week. The futures market implied traders saw an 82 percent chance the U.S central bank would increase key short-term rates by a quarter point to 2.25-2.50 percent at its policy meeting next Tuesday and Wednesday, up from 79 percent on Thursday. The market is skeptical about the U.S. economy and whether the Fed would hike further after December. The greenback was also held back by the probability of a partial government shutdown as U.S. President Donald Trump and federal lawmakers disagree over funding for a border wall, analysts said. The euro was down 0.5 percent at $1.12965 after German data showed private-sector expansion slowed to a four-year low in December. French business activity unexpectedly contracted, further fanning fears about slowing growth in the euro area. Worries about the European economy were also stoked by uncertainty whether May could convince the British parliament to approve her Brexit deal. The Canadian Dollar lost ground against its broadly stronger U.S. counterpart on Friday as investors worried about signs of slower global growth and braced for a potential interest rate hike next week from the Federal Reserve. Weak data from China and Europe stoked fears of a global economic slowdown, pressuring stocks and the price of oil, one of Canada’s major exports. U.S. crude oil futures settled 2.6 percent lower$51.20 a barrel. The single currency weakened as the euro zone economy showed more signs of a slowdown. The euro was down 0.5 percent after German data showed private-sector expansion slowed to a four-year low in December. French business activity unexpectedly contracted, further fanning fears about slowing growth in the euro area. 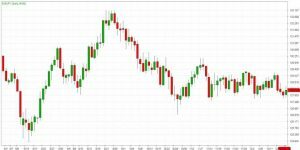 Overall, the EUR/USD traded with a low of 1.1268 and a high of 1.1363 before closing the day around 1.1300 in the New York session. The Japanese Yen pair closed lower on Friday as extreme weakness in the global equity markets encouraged investors to seek shelter in the safe-haven Japanese Yen. Sellers hit the equity markets hard early in the session following the release of weaker-than-expected retail sales and industrial production from China. Overall, the USD/JPY traded with a low of 113.19 and a high of 113.65 before closing the day around 113.34 in the U.S session. 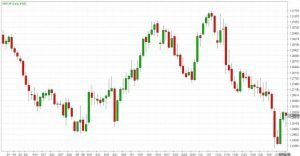 The British Pound continues to slide during trading on Friday, as the relief rally after Teresa May avoided a no-confidence vote has been completely wiped out. She went to Brussels, and they offered her nothing in return. The odds of a hard Brexit are increasing by the day. Ultimately, I think that the market continues to offer short-term selling opportunities. 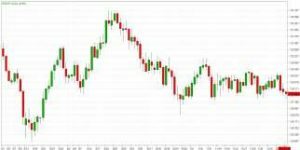 Overall, the GBP/USD traded with a low of 1.2527 and a high of 1.2662 before closing the day at 1.2578 in the New York session. The Canadian Dollar lost ground against its broadly stronger U.S counterpart on Friday as investors worried about signs of slower global growth and braced for a potential interest rate hike next week from the Federal Reserve. 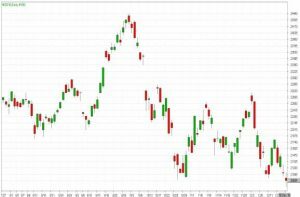 It has been a risk-off day for sure and that ties into the weaker-than-expected Chinese data. Overall, USD/CAD traded with a low of 1.3344 and a high of 1.3399 before closing the day at 1.3389 in the New York session. 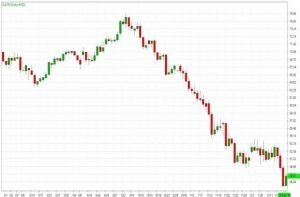 The Australian Dollar plunged on Friday on concerns about a weakening economy in China and Europe. The selling was fueled by safe-haven flows into the U.S Dollar as risk appetite weakened following softer-than-expected economic data from China and the Euro Zone. China released reports showing economic activity in the world’s second largest economy mostly slowed in November. Overall, AUD/USD traded with a low of 0.7149 and a high of 0.7226 before closing the day at 0.7174 in the New York session. EUR/JPY is trading below 14, 50 and 100 days moving average. Fast stochastic is giving a bearish tone and MACD is issuing a bullish stance. The Relative Strength Index is above 45 and lies below the neutral zone. In general, the pair has lost 0.73%. Currently, GBP/JPY is trading below 14, 50 and 100 days moving average. Fast stochastic is issuing a bullish tone and MACD is indicating a bearish stance. The Relative Strength Index is above 40 reading and lies below the neutral zone. On the whole, the pair has lost 0.84%. Currently, the cross is trading above 14, 50 and 100 days moving average. Fast stochastic is giving a bearish tone and MACD is also indicating a bearish stance. The Relative Strength Index is above 45 reading and lies above the neutral region. In general, the pair has lost 0.90%. This cross is currently trading above 14, 50 and below 100 days moving average. Fast stochastic is indicating a bearish tone and MACD is issuing a bullish signal. The Relative Strength Index is above 59 and lies above the neutral region. On the whole, the pair has gained 0.10%. This cross is trading below 14, 50 and 100 days moving average. Fast stochastic is issuing a bullish stance and MACD is indicating a bearish tone. The Relative Strength Index is above 38 and lies below the neutral region. In general, the pair has lost 0.15%. U.S stocks gave back most of their morning gains as of midday yesterday as investors continue to digest headlines surrounding the potential for a U.S-China trade deal. 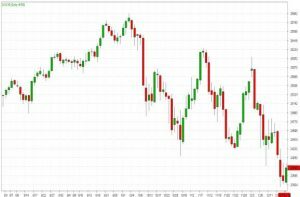 The Dow Jones Industrial Average declined 3 points, or less than 0.1%, while the S&P 500 index fell 6 points or 0.1%. The NASDAQ traded down 47 points, or 0.7%. At session highs early yesterday, the Dow was up 214 points, the S&P 15 points, while the NASDAQ briefly traded up 56 points. U.S.-China trade concerns remained at fore of investor minds, as they continue to digest headlines from earlier in the week that suggested the Chinese were ready to make significant concessions to their industrial policy and reduce tariffs on imported autos, while President Trump indicated he would intervene in the arrest of Huawei’s chief financial officer Meng Wanzhou if it would help ensure a trade deal with China. The perception of progress was tempered by news late Wednesday that China had arrested a second Canadian diplomat in apparent retaliation for Meng’s arrest. The Dow Jones Industrial Average rose 0.29%. 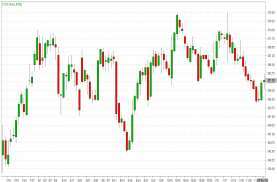 The best performers of the session on the Dow Jones Industrial Average were Procter & Gamble Company, which rose 2.62% or 2.46 points to trade at 96.49 at the close. Meanwhile, McDonald’s Corporation added 1.61% or 2.95 points to end at 186.43 and Merck & Company Inc. was up 1.28% or 1.00 points to 79.01 in late trade. The worst performers of the session were Nike Inc., which fell 1.87% or 1.39 points to trade at 72.93 at the close. DowDuPont Inc. declined 1.05% or 0.57 points to end at 53.78 and American Express Company was down 0.73% or 0.78 points to 106.70. The NASDAQ index declined 0.39%. The top performers were Adial Pharmaceuticals Inc. which rose 104.93% to 4.16, Cancer Genetics Inc. which was up 55.32% at 0.365 and Pernix Therapeutics Holdings Inc. which gained 22.86% to close at 0.430. The worst performers were Applied Genetic which was down 47.10% to 3.47 in late trade, CounterPath Corp which lost 22.53% to settle at 1.410 and LogicBio Therapeutics Inc. which was down 21.77% to 9.70 at the close. Oil prices rose yesterday, after data showed inventory declines in the United States and as investors began to expect that the global oil market could have a deficit sooner than they had previously thought. OPEC’s output agreement with Russia and Canada’s decision to mandate production cuts could create an oil market supply deficit by the second quarter of next year, if the top producers stick to their deal, the International Energy Agency said in its monthly Oil Market Report. U.S crude inventories at Cushing, Oklahoma, the delivery point for U.S crude futures, fell by nearly 822,000 barrels in the week through Dec. 11, traders said, citing data from market intelligence firm Genscape. Stockpiles fell by 1.2 million barrels in the week to Dec. 7, disappointing some investors who had expected a decrease of 3 million barrels. The data showed stockpiles jumping by 1.1 million barrels in Cushing during that week. U.S West Texas Intermediate light crude rose 86 cents, or 1.7 percent, to $52.01. Gold eased to its lowest in nearly one week yesterday as the dollar rose and investors latched on to gains in global stocks, while palladium touched record highs on expectations of higher demand. Spot gold eased 0.2 percent to $1,243.27 per ounce, while U.S gold futures were down 0.2 percent at $1,247.50 per ounce. The dollar gained against a basket of major currencies, helped by a dip in the euro after the European Central Bank reduced growth and inflation projections for next year and said the balance of risk was tilted toward the downside. It looks like ECB President Mario Draghi was a little more dovish than expected, so we are seeing the euro currency back off and the dollar strengthening, and this is weighing on gold prices. Also weighing on bullion was an upbeat sentiment for risk, with global stock markets receiving a boost on signs of easing U.S.-China trade tensions. With equities rebounding this week, gold has fallen slightly out of favor as traders unwound their safe-haven bets. Markets would now be turning their attention to the Federal Open Market Committee (FOMC) meeting on Dec. 18-19, with the focus on the future path of interest rate hikes in 2019. If the Fed adopts a more dovish stance, we should see the dollar quickly retreat and that should give gold an opportunity to rally. Lower interest rates reduce the opportunity cost of holding non-yielding bullion and weigh on the dollar, making it cheaper for holders of other currencies. Gold’s recent breakout above the $1,240 resistance means the path of least resistance is still to the upside and it should get a lift if the dollar were to fall on the back of a dovish Fed. Among other precious metals, spot palladium was down 0.7 percent at $1,253.24 per ounce. Silver was steady at $14.73 per ounce, having hit $14.81 earlier, its highest since Nov. 2. Platinum fell 0.6 percent to $793.60. 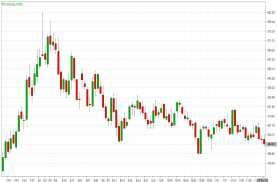 Soybean futures fell to a one-week low yesterday as confirmation of a 1.13 million-tonnes U.S soybean sale to China failed to impress traders who are shifting their focus to burdensome U.S and global supplies. Wheat futures neared a two-month top, supported by signs of rising global prices, while corn futures were little changed. 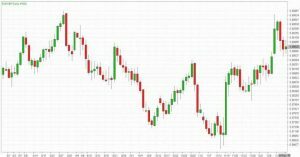 The U.S Dollar was higher yesterday, as the number of people who filed for first-time unemployment benefits hit a two-and-a-half month low. The U.S Dollar index, which measures the greenback’s strength against a basket of six major currencies, rose 0.19% to 97.20. The dollar was boosted after the U.S Department of Labor said that the number of individuals applying for initial jobless benefits in the seven days ended Dec. 8 decreased by 27,000 to a seasonally adjusted 206,000. 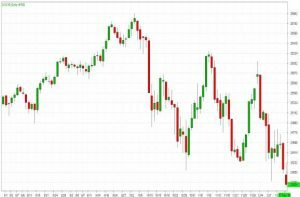 Meanwhile the pound was slightly higher after UK Prime Minister Theresa May survived a vote of no confidence on Wednesday evening. Brexit woes continue despite the victory, as it seems unlikely that May’s party will support her agreement with Brussels on leaving the European Union in March. The euro fell against the dollar yesterday after the European Central Bank as expected halted new bond purchases and promised to maintain policy support for the euro zone due to risks from trade tensions, Brexit and budget woes in Italy and France. On the other hand, ECB kept its primary rate target at -0.40 percent. It also marked down its outlook on regional growth. Sterling held steady following UK Prime Minister Theresa May’s prevailing in her party’s vote on her leadership the previous day. Traders’ attempt to extend sterling’ gains faded on uncertainty on what more May, who is currently in Brussels, could get from EU leaders to improve on her Brexit proposal. On Monday, May scrapped a parliamentary vote on her current plan, sending the pound to a 20-month low against the dollar and triggering a no-confidence vote on her leadership. The Canadian dollar edged lower against its U.S counterpart yesterday, paring some of the previous day’s gains as oil prices fell and the greenback broadly climbed. The price of oil, one of Canada’s major exports, fell after data on Wednesday showed a smaller-than-expected drawdown in U.S crude stockpiles. U.S crude oil futures were down 0.6 per cent at $50.86 a barrel. The single currency fell against the Dollar yesterday after the European Central Bank as expected halted new bond purchases and promised to maintain policy support for the euro zone due to risks from trade tensions, Brexit and budget woes in Italy and France. ECB kept its primary rate target at -0.40%. It also marked down its outlook on regional growth. 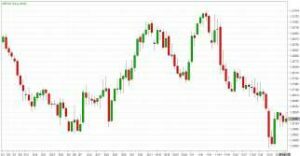 Overall, the EUR/USD traded with a low of 1.1329 and a high of 1.1392 before closing the day around 1.1356 in the New York session. The Japanese Yen moved lower in yesterday’s trading session. In the U.S, unemployment claims dropped sharply to 206 thousand, well below the estimate of 226 thousand. Japan’s manufacturing sector is being squeezed by the ongoing U.S-China trade war, which is having a chilling effect on the Japanese economy. Overall, the USD/JPY traded with a low of 113.18 and a high of 113.68 before closing the day around 113.59 in the U.S session. The British Pound held steady following UK Prime Minister Theresa May’s prevailing in her party’s vote on her leadership the previous day. It had rallied on Wednesday in anticipation as traders bet her win might allow her to negotiate more generous terms for Britain in its exit from the European Union in March. 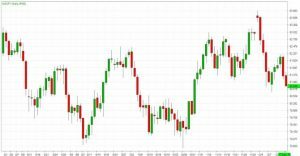 Overall, the GBP/USD traded with a low of 1.2608 and a high of 1.2684 before closing the day at 1.2657 in the New York session. The Canadian Dollar edged lower against its U.S counterpart yesterday, paring some of the previous day’s gains as oil prices fell and the greenback broadly climbed. The U.S dollar rose against a basket of major currencies after the European Central Bank trimmed its growth and inflation projections for next year, pressuring the euro. Overall, USD/CAD traded with a low of 1.3336 and a high of 1.3381 before closing the day at 1.3351 in the New York session. 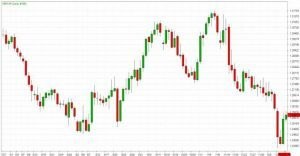 The Australian Dollar is holding near a one-week high as riskier assets are boosted by signs of progress in Sino-US trade relations. But most of the action in the forex world was in the British pound with most other currencies bystanders amid high political drama in Britain, where Prime Minister Theresa May survived a no-confidence vote on her leadership. 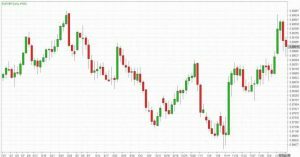 Overall, AUD/USD traded with a low of 0.7210 and a high of 0.7244 before closing the day at 0.7228 in the New York session. EUR/JPY is trading below 14, 50 and 100 days moving average. Fast stochastic is giving a bullish tone and MACD is also issuing a bullish stance. The Relative Strength Index is above 52 and lies below the neutral zone. In general, the pair has gained 0.22%. Currently, GBP/JPY is trading below 14, 50 and 100 days moving average. Fast stochastic is issuing a bullish tone and MACD is indicating a bearish stance. The Relative Strength Index is above 45 reading and lies below the neutral zone. On the whole, the pair has gained 0.57%. Currently, the cross is trading above 14, 50 and 100 days moving average. Fast stochastic is giving a bearish tone and MACD is also indicating a bearish stance. The Relative Strength Index is above 51 reading and lies above the neutral region. In general, the pair has gained 0.40%. This cross is currently trading above 14, 50 and below 100 days moving average. Fast stochastic is indicating a bearish tone and MACD is issuing a bullish signal. The Relative Strength Index is above 59 and lies above the neutral region. On the whole, the pair has lost 0.30%. This cross is trading below 14, 50 and 100 days moving average. Fast stochastic is issuing a bullish stance and MACD is indicating a bearish tone. The Relative Strength Index is above 39 and lies below the neutral region. In general, the pair has gained 0.31%.